Growing your networking and cybersecurity knowledge starts locally. 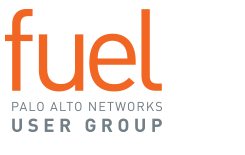 Each Fuel Chapter is a local hub for technical resources and cybersecurity experts. Meet in person to connect with your counterparts across companies and industries, swap success stories, and hear the latest product and industry information from the experts. Browse our list of more than 150 chapters to find the one closest to you! Can't find a chapter near you, or want to learn more about becoming a chapter leader? Click here to learn more and to access volunteer resources.